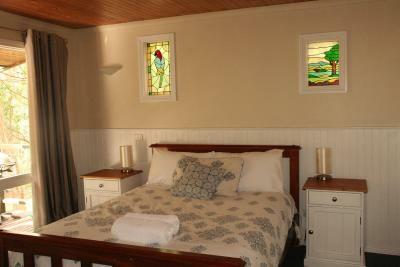 Lock in a great price for Hill 'n' Dale Farm Cottages – rated 9.1 by recent guests! 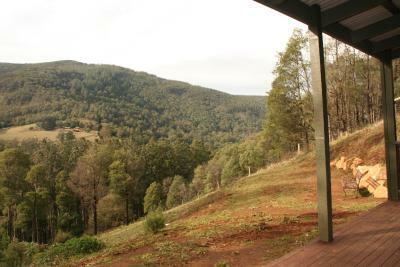 Wonderful views and a beautiful cabin wit everything you need, a perfect relaxing getaway. Everything nature and met expectations. Lovely owners. The offer of massage booking prior to arriving was great. Seeing wildlife. Quiet surrounds. Drove to innocent bystander in Healesville for tea. Spa good. 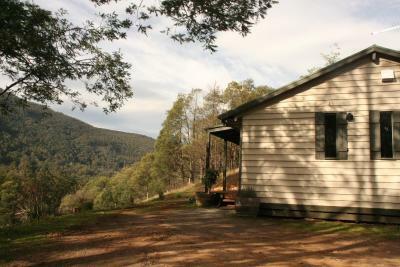 Cooking and Self catering capacity and supply was good. The exposure to the local wildlife was excellent. 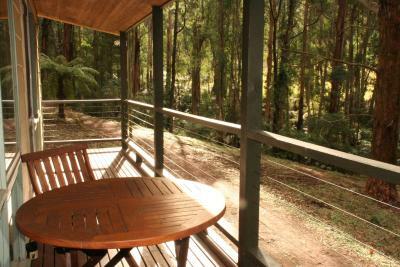 There where parrots on the porch and wallabies and wombats in the grassed areas. The little extra touches of locally made produce for breakfast was lovely. 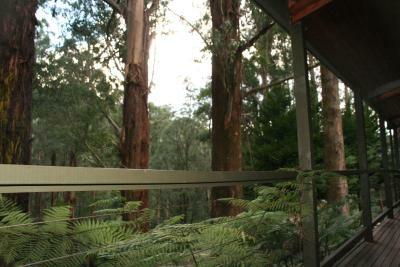 It was also secluded and quite with lots of native wildlife. Wonderful place to get away to. Thank you!! 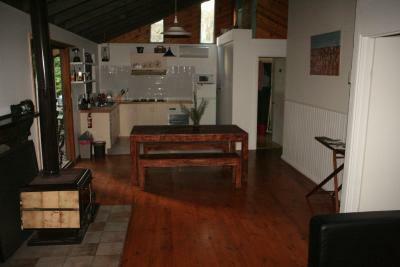 Owners were really accommodating and friendly hosts. They made us feel at home. Fireplace was great fun for kids and adults to toast marshmallows. By car, there was so much to eat and do within a 20min radius. It was humbling to be in the midst of this ancient giant tree fern and eucalyptus forest. 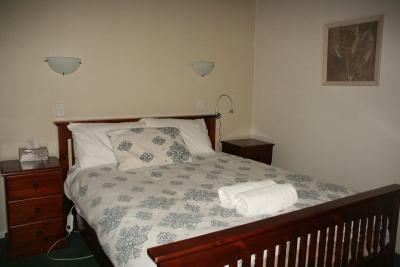 Hill 'n' Dale Farm Cottages This rating is a reflection of how the property compares to the industry standard when it comes to price, facilities and services available. It's based on a self-evaluation by the property. Use this rating to help choose your stay! 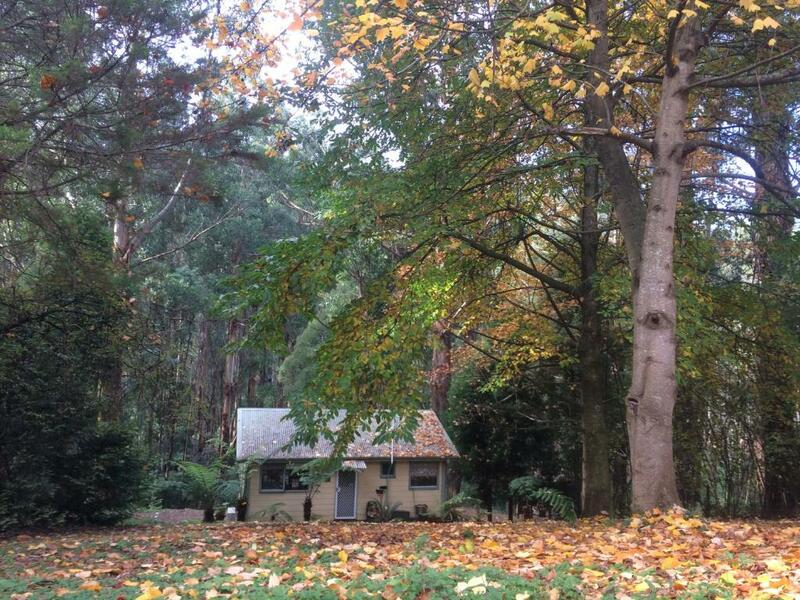 A 54-acre property in the Yarra Valley, Hill 'n' Dale Farm Cottages offers cozy wooden cottages with wood fire and spa baths. 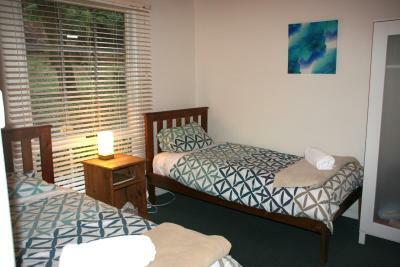 The property features a DVD player, free parking, and free Wi-Fi in public areas. 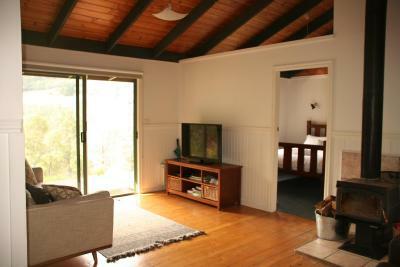 Equipped with air conditioning and heating, each self-contained cottage has a spacious porch and a living room. The kitchen includes an oven, microwave, and toaster. Other amenities include a flat-screen TV and a DVD player. 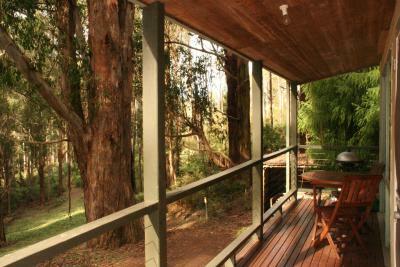 Hill 'n' Dale Farm Cottages is a 15-minute drive from Healesville Sanctuary, Hedgend Maze, and Launching Place. 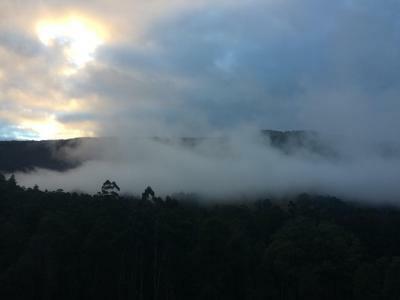 Maroondah Dam and Warburton are 25 minutes’ drive away. 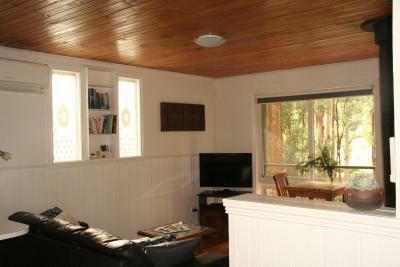 The property offers a DVD library and a children’s play area. Barbecue facilities are available for guests’ use. When would you like to stay at Hill 'n' Dale Farm Cottages? Nestled in the fern gully, this cottage features 1 bedroom with a queen-sized bed and an electric blanket. 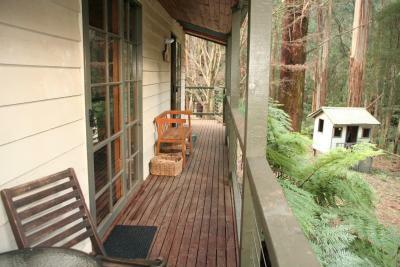 It also includes an private bathroom with a spa bath and a terrace overlooking the fern gully. 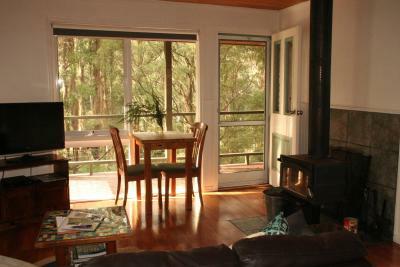 A fully equipped kitchen, an enclosed wood fireplace, DVD player and a CD player are provided. 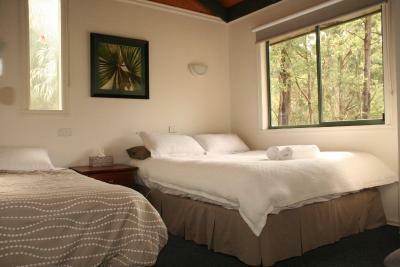 Linen and towels are included. The cottage is stocked with basic kitchen condiments including tea, coffee, salt, pepper and oils. 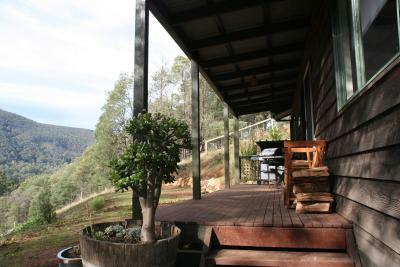 Seasonal homemade treats and produce from the Yarra Valley are also provided. Please note that the price is based on 2 guests. Maximum occupancy is 4 (additional charges apply, please contact the property using the contact details found on the booking confirmation). 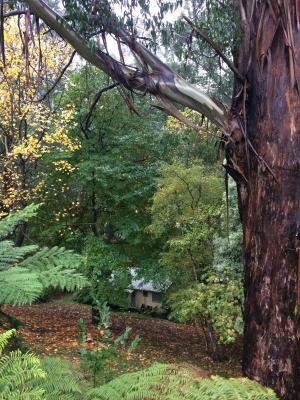 Set among the mountain ash gum trees, this 2-bedroom cottage features 1 queen-sized bed, 2 single-sized bed and an additional roll-away bed, all with electric blankets. 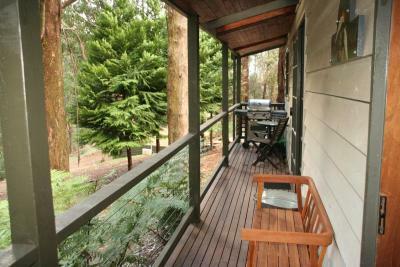 It also includes 1 bathroom and a terrace with barbecue facilities, overlooking the fern gully. 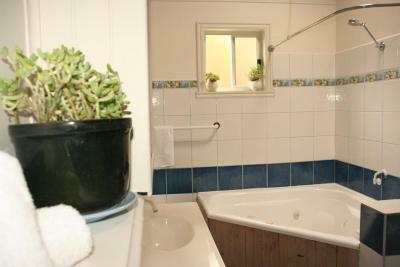 A double spa bath, a fully equipped kitchen and both a washing machine and a tumble dryer are provided. 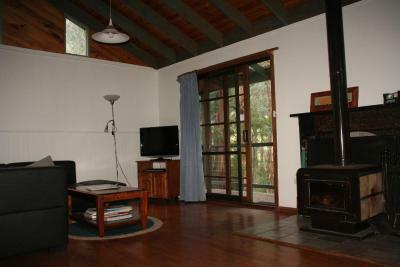 A wood fireplace, TV, DVD player and a CD player are included. Linen and towels are provided. 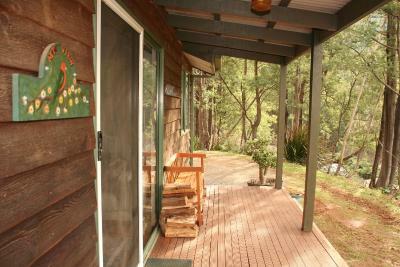 This cottage has a cubby house, located next to the cottage for children. 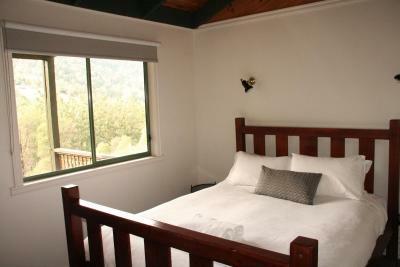 Located on the top of a hill overlooking Mt Ben Cairn, this spacious, secluded cottage features 2-bedrooms, 1 with a queen-sized bed and the other with 1 queen and 1 single-sized bed, all with electric blankets. 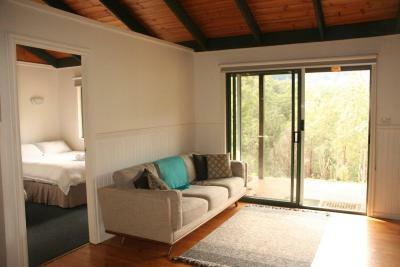 There is 1 bathroom, 2 toilets and a spacious terrace overlooking the hills. 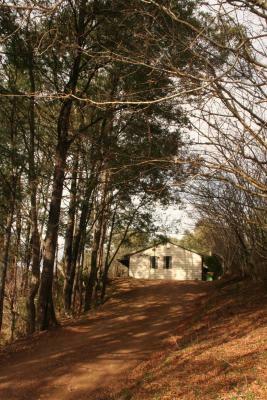 Barbecue facilities, a double spa bath, fully equipped kitchen, laundry facilities, an enclosed wood fireplace, TV, DVD player and a CD player are provided. 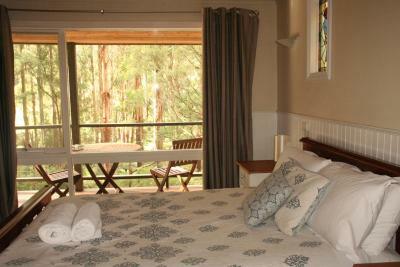 Linen and towels are included. 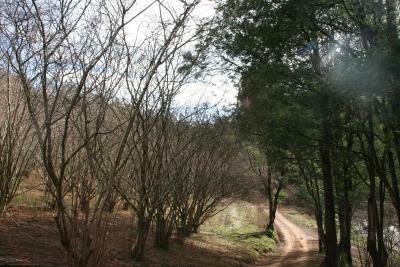 Overlooking natural bush land, this 2-bedroom cottage features 1 queen-sized bed and 2 single-sized beds, all with electric blankets. 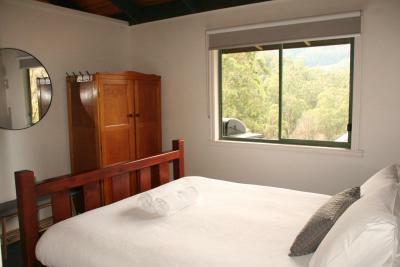 There is 1 bathroom, 1 toilet and a spacious terrace, overlooking the hills. 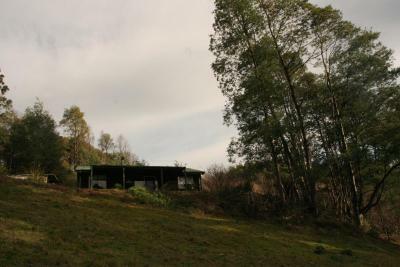 Barbecue facilities, a double spa bath, fully equipped kitchen, enclosed wood fireplace, a TV, DVD player and a CD player are provided. Linen and towels are included. Please note that the price is based on 2 guests. Maximum occupancy is 4 (additional charges apply, please contact the property using the contact details found on the booking confirmation) . 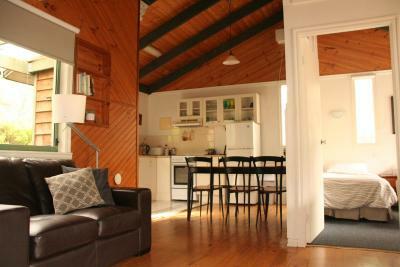 House Rules Hill 'n' Dale Farm Cottages takes special requests – add in the next step! Hill &#39;n&#39; Dale Farm Cottages accepts these cards and reserves the right to temporarily hold an amount prior to arrival. Hill 'n' Dale Farm Cottages accepts these cards and reserves the right to temporarily hold an amount prior to arrival. Please note that Hill 'n' Dale Farm Cottages does not accept payments with American Express credit cards. Please inform Hill 'n' Dale Farm Cottages of your expected arrival time in advance. You can use the Special Requests box when booking, or contact the property directly using the contact details in your confirmation. Expecting the dirt road!! Bed was very soft, but if you aren’t pregnant it wouldn’t matter! Absolutely nothing we loved it all!! 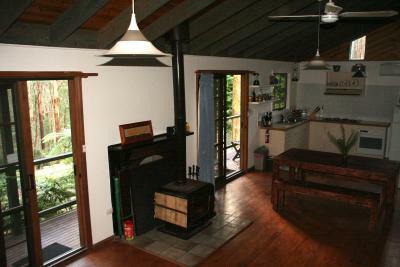 The electric heating system could perhaps be a little more powerful but once the woodfire got started, we were toastie.